The deadline for gas stations to implement EMV technology was originally set for October. However, in December 2016, Visa and Mastercard announced they would push the deadline back by three years. The deadline's extension came as a result of gas station operators expressing their frustrations because they would not be able to fully implement EMV systems into their pumps in time, according to Bloomberg. Many older pumps would need to be wholly replaced, and removed from their concrete bases. The estimated cost to replace these pumps is $30,000 per gas station. "Criminals have increasingly replicated customer cards with magnetic strips"
The costs involved with EMV implementation, and its delay, affect not only gas station operators but banks and customers as well. EMV cards create a unique code for each transaction, making credit and debit cards much more secure than their magnet based counterparts, which have a set code that can be easily duplicated. CreditCards.com reported, criminals have increasingly replicated customer cards with magnetic strips at pump stations using what are known as skimming devices. Thieves attach one or sometimes multiple illegal gadgets to the internal computing systems and POS card processing terminals at gas pumps. Once installed, the inconspicuous devices copy card information from each transaction at the pump and store it on a microchip that someone comes back to retrieve. In more recent cases, criminals have used skimmers that wirelessly send card information to a mobile device via Bluetooth or SMS text, making it so that no one needs to fetch the equipment, according to Krebs On Security. Fueling stations in particular make for easy targets because most pumps have not yet been fitted with EMV technology and they are used by scores of customers throughout the day. "The devices are being found at small merchants, large merchants, urban, rural, new and old convenience stores, so nobody is exempt," said Kara Gunderson, point-of-sale manager for Citgo Petrolum Corp., to CreditCards.com. Until the gas station EMV implementation deadline is surpassed in 2020, banks are responsible for covering any stolen funds from the use of magnetic strip cards. After the cutoff date, reimbursement falls in the hands of the station from which the theft originated. The longer it takes gas stations to transition from magnetic strip readings to EMV technology, the more opportunities criminals have to take advantage of their customers. To learn more about implementing effective credit processing software, get in touch with 911 Software today. Posted in Industry Trends, POS Software. Merchants just like you work hard to engage customers, bring them into your storefront and capture sales. There's plenty of time and effort involved in every aspect of managing your business and convincing customers to make purchases. The last thing you want to deal with is a situation where a customer who is ready, willing and able to pay for a purchase can't do so because your card processing software can't connect to the internet and complete the transaction. How can businesses deal with this potentially frustrating situation that can easily lead to both lost sales and upset shoppers? A payment processing software that can securely capture payment details and store them until the connection is re-established is a major benefit. "Store and Forward means your business can always accept payments." When your payment solution can't connect to the internet, there's no convenient or effective way to immediately process a payment and send a customer on his or her way. The alternatives are simply to say you can't make the sale, or have credit card payment software in place that can pass the information along, maintaining informational security throughout the process, once the connection is restored. In many ways, this is an easy decision for merchants to make. There's no reason to turn down a shopper's intended purchase and send them away empty-handed if an alternative is in reach. Store and Forward is just such an option, one important element of the many advantages 911 Software offers to the businesses with which it partners. The functionality is simple – the information necessary to process the payment is held until it can be sent along – but its value can't be overlooked. Whether there's a technical issue for your business or internet service provider, a partial power outage, or a physical problem with a hardwired connection, modem or router, Store and Forward keeps revenue coming in and customers happy. This simple addition to credit card processing software provides an immediate benefit and, perhaps more importantly, a sense of security. Knowing your business can always accept payments – and do so regardless of nearly any other external factor – means resting assured in your ability to confidently complete transactions. It also means sending customers out the door with their purchases in hand and smiles on their faces. Verifone's PCCharge system was long a preferred choice of smaller merchants because of its many attractive factors. Ease of use, lack of a need to purchase and configure substantial amounts of external hardware, the ability to base the system on existing computers and other benefits all played into its popularity. Unfortunately, with support for PCCharge withdrawn in the face of issues with EMV compliance and Verifone's decision to focus on other products, small businesses need to prioritize a change from this card processing software to a more modern and secure alternative. "PCCharge is no longer supported by Verifone." PCCharge is no longer supported by Verifone. What does that mean for businesses? Technical issues that may have once been solved quickly through the support provided by Verifone can now linger, persist and grow worse over time. The lack of any official troubleshooting or expert guidance means PCCharge is vulnerable to a wide variety of issues that arise as other parts of a small business's IT infrastructure are upgraded, swapped out and otherwise changed. Continuing to use any technology that is not supported by the provider is a risk for businesses. When it comes to the vital systems that handle credit and debit card payments, taking such a chance can lead to negative results in terms of efficiently processing transactions and keeping the related information secure. The EMV standard has been in place for nearly all businesses, large and small, for close to two years. One factor behind the end of support and development for PCCharge was the need for the system to meet EMV regulations. That means businesses continuing to use this Verifone system are putting themselves at risk in terms of fraud concerns and associated financial consequences. PCCharge is also no longer compliant with the Payment Card Industry Data Security Standard and the Payment Application Data Security Standard, which presents similar issues for businesses. A lack of compliance in this case means security issues. Additionally, the system isn't in line with the latest changes to Secure Hash Algorithm 2, part of the Transport Layer Security protocol. That means further security issues – the last thing a business wants to deal with when it comes to payments. The latest major, large-scale payments breach is one affecting Holiday Inn and other chains that fall under the InterContinental Hotels Group banner. That company is a major player in the hotel market, with Computerworld reporting more than 5,000 individual locations in 100 countries, along with at least eight lodging brands in its portfolio. With 1,175 locations affected by the breach of customer payment data, more than one in five of the organization's total holdings were affected. "1,175 locations were affected by the breach of customer payment data." Computerworld said cybercriminals targeted point-of-service software at the front desks of the hotels, using malware installed in those systems to access customers' payment information. The breach was first brought to the attention of the international hotel group in late 2016, according to industry journalist Brian Krebs. The breach stretched from late September 2016 through late December of the same year, a statement from the hotel group said. While the business has no evidence of data being taken after the new year began, some hotels didn't have the malware removed from their systems until February and March. The breach stretched across the country, including nearly all U.S. states, the District of Columbia and Puerto Rico. States with the highest numbers of hotels affected included Texas, with 163, California, with 64, Florida, with 61, and Indiana, with 53, Computerworld said. The investigation isn't and may not ever provide a complete accounting, as InterContinental Hotels Group cannot force franchisees to take part in the investigation and some declined to participate. Krebs noted 2016 was an unfortunately busy year for hotels and payment data breaches, with nine major chains suffering their ill effects. In particular, Trump Hotels and White Lodging each had to deal with two separate breaches during the year. The common thread running through most of those incidents was the focus on the front desk and its payment systems. Similar to the InterContinental Hotels Group incident, hackers introduced malware into point-of-service systems and then captured the valuable and sensitive payment information. A focus on safe and secure credit card payment software is vital for businesses of all sizes. The many negative consequences associated with a payment data breach are often hard to overcome, from reputational damage to a decline in customers visiting your business. To learn more about effective card payment processing security, talk to 911 Software today. Small businesses have a lot on their plates. Considerations like effective payment processing software can fall by the wayside when there are immediately pressing matters to deal with. However, ignoring the need for a secure and effective channel for processing credit and debit card payments can result in a number of negative consequences, including lower revenue and lost business. An article in local Massachusetts paper The Salem News tapped into a nationwide issue: The slow progression of smaller businesses toward accepting payments via credit and debit card. While it's hard to properly count all the businesses across the country that don't take cards and other, newer forms of payment, there are still many merchants that have never accepted credit cards or had a single bad experience and haven't gone back. "Businesses have to reassess their position on credit and debit card payments." Why is that a problem for business owners? Because they miss out on a significant amount of sales. The cost of not accepting these payments was $100 million in 2012, according to Intuit, and overall consumer preference for card payments overall has only grown since then. While many smaller companies have made strides in terms of their payment processing choices, a lack of these tools still has a significant impact on the vast majority of such enterprises. Cash won't go away completely anytime soon, but it's no longer the most popular method of payment. Consumers of all ages are moving toward credit and debit cards, and that trend isn't likely to reverse in the future. As that slow but steady change continues to occur, businesses have to reassess their position on credit and debit card payments. One of the most significant factors for such companies in the past was the cost associated with processing these payments. While there is still a financial obligation associated with maintaining these systems, costs have generally gone down as the market for credit card processing has diversified and grown overall. 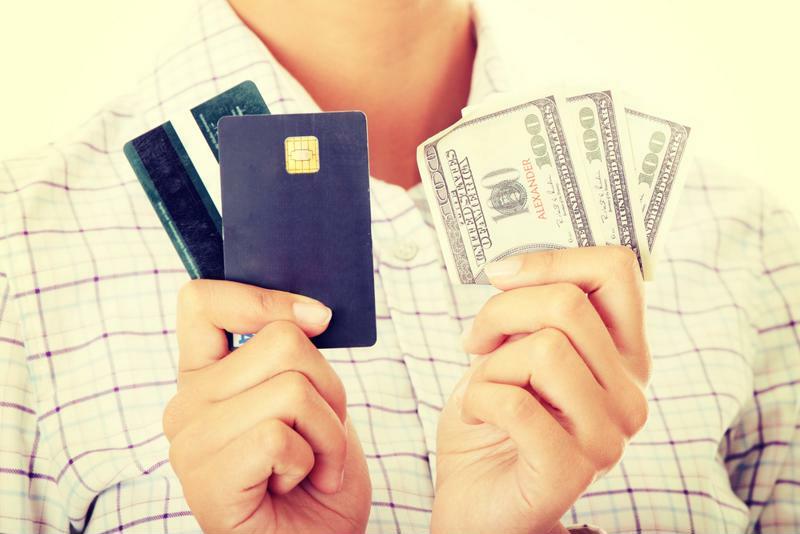 A decision that might not have made sense 10 or 15 years ago could easily be much more attractive at this point, especially when consumer preferences for credit and debit cards are taken into account. As more and more consumers look to pay with cards instead of cash, many businesses can't afford to avoid the issue any longer. Data breaches are difficult for businesses to contend with, even more so when they have deficiencies in their compliance efforts or don't have secure payment processing software. The recent news of quick-service restaurant chain Arby's experiencing a significant attack is another reminder of how important it is for businesses of all sizes to prioritize data safety and the Payment Card Industry Data Security Standard. While final details have yet to be released related to the breach, USA Today said projections indicate 355,000 or more credit and debit cards may have been involved. "More than 355,000 credit and debit cards may have been involved in the breach." The restaurant company said it began an internal investigation into the unauthorized capture of payment data soon after it learned of the incident, according to a statement it provided to USA Today. Arby's brought in computer security specialists and coordinated with law enforcement to find the root cause of the attack, but not before hundreds of thousands of customers had sensitive payment information compromised. The breach was very similar to those that affected major retailers like Home Depot and Target in recent years, which also involved very large numbers of customers. Brian Krebs, digital security specialist, initially confirmed the story via sources at a number of banks and credit unions. He said Arby's indicated it had already remediated the breach as of early February. The company also said the Federal Bureau of Investigation had requested the company keep the news of the breach quiet when it was first discovered in mid-February. Only Arby's corporate locations, which are managed directly by the company, were affected. Franchised stores, owned and operated individually or in groups by individuals outside of Arby's corporate structure, didn't suffer any damage from the breach. Speaking with USA Today, Dan Berger, CEO of the National Association of Federally-Insured Credit Unions, said the increase of retail breaches should be a priority in terms of boosting security. "Last year, the number of data breaches shattered all records and climbed 40 percent higher than reported in 2015 and there is no sign of the criminals letting up," Berger said to the paper. "In 2017, we have already hit 110 breaches, a 36 percent hike over the same time last year." Despite the attention focused on large chains suffering data breaches, every retailer is potentially at risk for such an attack. Using secure credit card processing software and following compliance guidelines can mean the difference between exposure to a breach and being protected. EMV compliance is still a hot topic in the retail and financial services industry. Some organizations have yet to make the transition, and with consumers across the country holding EMV-compliant chip cards, now is the time to adopt this technology. According to a new report from Market Research Hub, the global EMV point-of-sale terminal market is on track to expand at a compound annual growth rate of 9.9 percent through 2021. This growth is spurred not only by the push toward EMV compliance and adoption of EMV technology, but by contactless payments as well. "It is well known that today's payment industry is ever-changing and with the increased penetration of contactless payments by consumers, payment gateways and network providers are adopting payment mechanisms involving cards which have become a key trend for market growth," Market Research Hub noted. 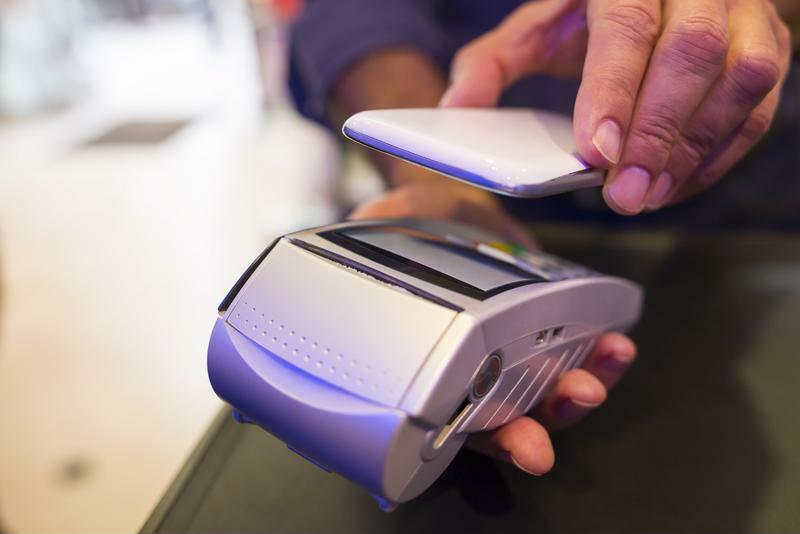 Contactless payments have contributed to growth in the EMV technology market. CreditCards.com reported that more than 600 million chip cards have been issued thus far to American consumers. This includes 77 percent of credit cards and 38 percent of debit cards issued by September 2016. Today, only an approximate 38 percent of retailers are able to process EMV payments with the 2 million EMV-compliant POS terminals currently in place in the U.S. This means that there are still an estimated 15 million terminals in need of an upgrade, according to CreditCards.com. Surprisingly, there are still some retailers that don't believe in the security benefits of EMV payment process. In fact, Ingram Micro Advisor reported that 42 percent do believe that EMV will make a difference in fraud protection, and the same amount do not. "Hackers are now having a harder time creating knock-off payment cards." For those still doubting the advantages of EMV, there are a few crucial things to understand. In addition to the chip itself, customers also enter their PIN for each transaction, further reducing the chances of fraudulent activity. EMV chips are much more secure than magnetic strips, and are much harder for cybercriminals to breach and reproduce. This means that hackers are now having a harder time creating knock-off payment cards with stolen credentials, reducing overall cases of fraud. Proving the security benefits of EMV is this statistic released from Mastercard. 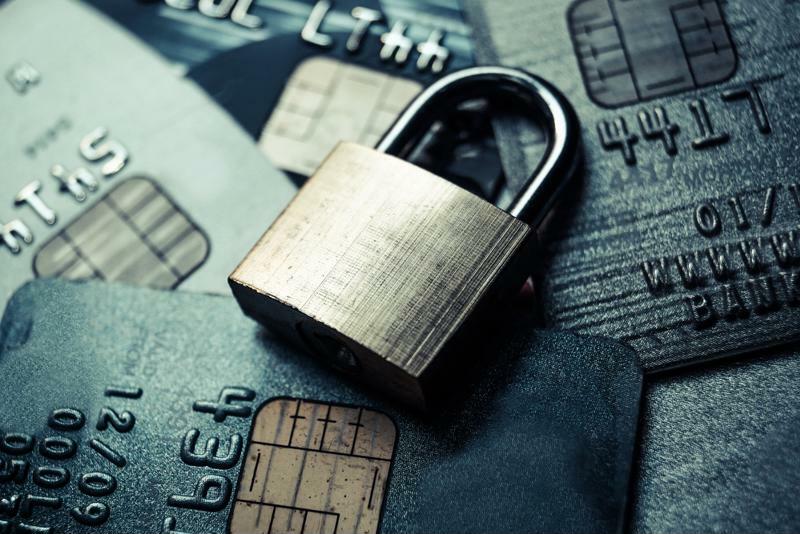 The financial service provider found that fraud has been decreased by 60 percent in terms of dollars among the top five EMV-compliance merchants, PYMNTS reported. EMV adoption is still underway, and there is no better time to make the switch than now. It has been over a year since the official EMV liability shift took place. The deadline, October 2015, signaled that businesses and retailers that don't have EMV in place will be liable for the costs of fraud, and not the financial institutions that support customer payment cards. This was a big deal for the retail industry, as well as for any company that accepts credit and debit card payments. The shift represented the push that many organizations needed to invest in upgraded, EMV compliant point-of-sales systems. By now, we've all been on the receiving end of this situation: You approach the register, ready to pay for your merchandise. The cashier tells you your total, but when it comes time to pay, you see that the payment terminal accepts both swipe or dip, EMV-supported transactions. So should you swipe your card, as usual, or use the new dip slot for your EMV chip? "Customers will thank you for eliminating the awkward confusion that can take place at checkout." According to CBS, this scenario is more common than ever, and can be incredibly frustrating for customers. Currently, there are 5 million EMV-compliant payment terminals at American retail stores, but only 1 million of those accept chip payments. If your store is EMV ready, you may have to coach your customers for their first few transactions ("Feel free to insert your card into the chip reader at the bottom of the terminal instead of swiping. "), but eventually, they'll catch on. And they'll thank you for eliminating the awkward confusion that can take place at checkout. Most customers are beginning to understand the need for more secure, EMV chip cards. Besides receiving information about the new chip feature from their bank or financial service provider, many consumers have heard stories about point-of-sales malware, retailers under attack by cybercriminals and the potential that exists for compromised customer payment cards. 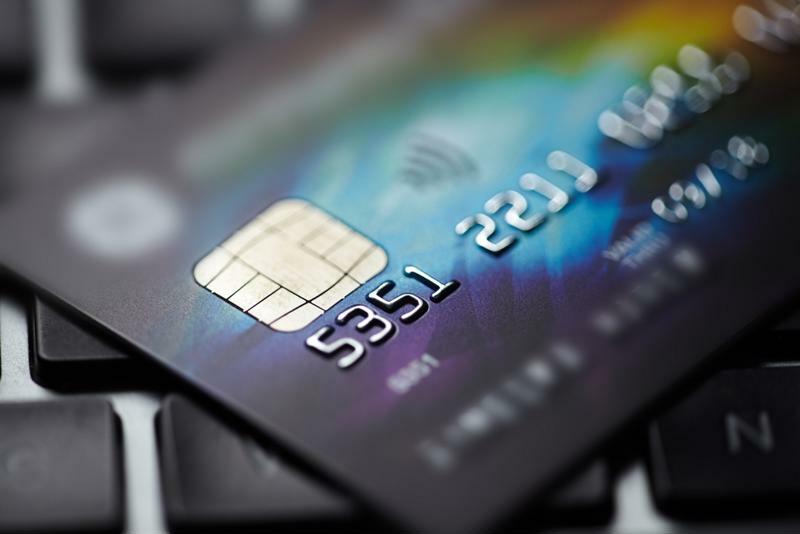 EMV chip cards provide added security over magnetic strip payments. For these reasons, providing support for EMV payment card processes can signal your business's commitment to your clients' data security. While many card holders know that EMV chip cards are safer and can help better protect their personal information, they may not know the details behind the new payment processing technology, and that's OK. But you'll know that by accepting EMV chip cards, you're helping to put in place a multipronged payment card security system that seeks to eliminate fraud. According to EMV Connection, EMV boosts the security of payments by authenticating the card itself, the cardholder, as well as the individual transaction, and it makes it nearly impossible to duplicate a card for counterfeit activity. Overall, EMV payment processes has much to offer today's retailers and service providers. Although the shift in liability is as good a reason as any to make the transition, the appreciate of your customers is another compelling factor to keep in mind. For the past few months, EMV-compliant payment card processing has been a main focus for retailers across the U.S. With the deadline for transition passing last fall, many merchants are in a hurry to ensure their compliance, and boost security for their customers. However, EMV wasn't the first security system to be put in place in respects to payment cards. Today, we'll take a brief walk down memory lane, and examine the technologies that led up to this crucial new payment processing technology. Before the 1950s, the main form of payment was cash. Retailers only had to worry about stocking their registers with enough bills and coins to provide change. By 1959, though, all this changed with the emergence of plastic payment cards. Security measures like the signature panel on the back of the card, embossing and microprint wouldn't come until the 1970s. The next major developments were made in the mid 1980s, when real-time electronic authorizing was made available in 1985. This was followed in 1990 by the Card Verification Value (CVV) security code, which was used on magnetic strip cards as an extra security precaution. Plastic payment cards were first introduced nearly 58 years ago. According to Visa and and EMVCo, the first EMV security was first widely introduced in 1994 when major financial institutions – Visa, Europay and Mastercard – provided specifications for card chips. According to Visa, this development actually occurred one year previous to the use of PINs at points-of-sale to help better safeguard cardholders. EMV technology became instrumental in France in 1994, when every bank in the country began supporting chip card specifications for payment. "Through issuing chip cards with PINs, the French were able to dramatically reduce fraud due to counterfeit, lost and stolen cards," Chase stated in a whitepaper. Following its success in France, chip card technology then spread across Europe, with card holders and financial institutions enjoying reduced card security issues alongside more staunch payment card processing protection. "Now is the time to transition to an EMV payment card processing system." The push for EMV chip cards became a prime focus in the U.S. in 2015, when a deadline was put in place to signal a shift in liability. By October of that year, every retailer that hadn't upgraded its payment card processing technology to an EMV-compliant system was liable for fraudulent activity. Despite a shift in liability, some retailers still haven't put EMV-compliant payment card processing technology in place. In fact, Business Insider reported that only 7 percent of all card transactions in 2016 were made through EMV point-of-sales systems. By comparison, chip cards contributed to 75 percent of all transactions in Europe, 89 percent in Africa and the Middle East and 88 percent of card purchases in Canada over the same time period. In order to best safeguard against fraudulent payment card activity and offer the strongest available protection for your customers, now is the time to transition to an EMV payment card processing system. In recent years, the threats impacting retailers' point-of-sales systems have only increased in sophistication and complexity. Now, hackers utilize an array of different strategies in an attempt to capture customer information for malicious and fraudulent purposes. At the same time, it's up to businesses to work to ensure that this doesn't happen and that consumers' sensitive data is properly safeguarded. Recently, the financial service industry took a significant step to better protect shoppers and their credit and debit transactions with EMV chip technology. EMV – Europay, Mastercard and Visa – became a new global standard, and an Oct. 1, 2015, deadline was put in place to spur retailers and financial service providers to leverage the new payment processes approach. Although it's been more than a year since this deadline has passed – which officially shifted the liability for payment card to the least-EMV compliant party – many retailers still don't have the ability to allow customers to utilize their EMV chip cards. As of fall 2016, an estimated 77 percent of American-issued credit cards had EMV chip technology in place. In addition, 38 percent of U.S. debit cards were EMV compliant. Overall, about 600 million EMV chip payment cards have been issued to American consumers. When these were issued by financial service providers, many customers also received information about the new chip technology and the security benefits it could provide. What's more, as many consumers are now aware of the mounting threats targeting the retail sector, they'll be looking to retailers to allow them to utilize their new EMV-compliant chip cards. EMV compliance is now more important and beneficial than ever. In addition to consumers, a significant number of retailers are now using POS solutions that support EMV technology. CreditCards.com found that 15 million POS systems were in need of an upgrade for EMV compliance, and since then, about 38 percent have been successfully upgraded. "Together, the chip card and chip-enabled terminal form a system that helps reduce counterfeiting, as well as prevent payment card fraud and its associated costs," Entrepreneur contributor Tyler Vaughey wrote. "Many consumers, as well as retailers, are aware that EMV chip cards can be beneficial to security." As noted, many consumers, as well as retailers, are aware that EMV chip cards can be beneficial to security. In this way, having an EMV-compliant payment processing portal in place within your business shows your customers that your organization is committed to security and the protection of sensitive transaction information. "Chip technology, with or without a PIN, prevents counterfeit fraud, which represents the biggest category of payment card fraud in the U.S.," ComputerWorld contributor Jaikumar Vijayan wrote. What's more, due to the high publicity of payment card-related breaches in the news lately – which can considerably damage the reputation of the victim company – some customers may be hesitant to utilize less secure forms of payment. Vaughey pointed out that EMV technology and the acceptance of chip-enabled cards can be a beneficial way to quell these concerns. This is true even for businesses that have never had a security incident in the past – EMV payment processes helps put customers at ease when they utilize their credit or debit cards. The October 2015 deadline introduced an important shift within the financial services and retail industries. After this date, any service provider found to be noncompliant with EMV is responsible for fraudulent transactions. In other words, if your business is the victim of a security breach that impacts your customers and you did not implement an EMV chip reader, your organization has to cover any fraudulent activity – not the bank backing the compromised payment card. "[B]usinesses that do not have EMV-enabled systems may be held liable for certain fraudulent transactions," Vaughey wrote. "We know that every dollar counts to keeping a small business running and successful. Why put those dollars at risk when you can avoid the liability?" Overall, there are a range of reasons EMV compliance makes sense for today's businesses and the security of their customers. To find out more, contact the experts at 911 Software today. Even as EMV technology picks up steam, a new payment option is on the horizon. More and more consumers are gravitating toward mobile payments, and that trend doesn't seem to be slowing down in 2017. Experts from the World Economic Forum predict that mobile payments will grow in popularity as consumers comfortable with the idea of using them. But users have EMV technology to thank for opening up this new form of payment. The reason EMV chip card processors and mobile transactions are linked is because both mediums use near field communication technology, according to MediaPost. This technology allows mobile phones to communicate with a card processing terminal when they're in close proximity to each other, the source noted. As EMV card readers become more widespread, mobile payments will have a greater opportunity to flourish as well because of NFC technology. This means that while EMV card processors will be an important retail for a long time, business owners might also need to be thinking about whether they are ready for mobile transactions. If not, retailers might be viewed by consumers as behind the times. "They need to be where, and to the extent that customers want to pay via [their mobile phone] – and some surely will – they need to be present," David Bell, a marketing professor at the Wharton School of Business, told Knowledge at Wharton. And retailers will definitely want to get in on the action. Mobile payments are expected to be responsible for $1 trillion in global sales in 2017, according to a report from the International Data Corp. That marks a whopping 124 percent increase from the previous year. Retailers need to stay alert during the ongoing EMV transition as well as keeping an eye on the future of payment processing. Although EMV cards offer enhanced security for retailers and consumers, some have noticed it takes a little while longer to process payments. Retailers around the country have adopted EMV chip credit card processors to shield themselves from liability if fraud should occur. These cards offer significant protection against fraud during card-present transactions, but some people have complained about a slightly increased wait time at the checkout counter. EMV cards do take a little bit longer to process because chip cards transmit an encrypted code that changes with every new transaction, Petoskey News Reported. Although these transactions typically only take a few seconds longer to finish than a swipe purchase, many customer have not been shy about voicing their displeasure with the increased wait time. Because of EMV cards, the average consumer will spend an additional five-and-a-half hours in the checkout line in 2016, according to a report from payment processing company Cayan. Altogether customers will spend an extra 116 million hours in line due to EMV delays, the source noted. But the slower checkout times have less to do with EMV technology itself and more to do with the nature of a particular business, according to Banking Exchange. "If you are in a fast-paced, high volume market, a slow speed of transaction will be a detrimental part of it," Sherif Samy, managing director of transaction security operations at Underwriters Laboratory, told Banking Exchange. "If you are in a merchant environment and you would like a dialog with the consumer, then it is less critical. We can't generalize EMV speed of transactions." Visa and Mastercard – two major companies pushing for EMV adoption – announced earlier this year that were working on technology improvements that should reduce the amount of time it takes to complete an EMV payment. EMV is making it harder for criminals to steal data at point of sale, so they're going online. As EMV-enabled credit cards continue to make their way into the mainstream, credit card hackers are finding other ways to steal individuals' sensitive information. In 2017, the most likely avenue of success for these thieves is on the internet. Experts predict hackers will increasingly use viruses such as malware, ransomware and botnets to trick users into relinquishing their personal information through the guise of a password update or some other deception, according to USA Today. Hackers will also increasingly target mobile phones as a way to steal data as more shoppers begin to make purchase through their smartphones. And it seems like many experts aren't confident in retailers' ability to stop such attacks. According to the Tenable Network's 2017 Global Cybersecurity Assurance Report Card, overall confidence about the current state of cybersecurity came in at 70 percent in 2016, which marks a 6 percent decline from the previous year. Confidence of those surveyed to assess potential cybersecurity risks scored even lower at 61 percent, which represents a 12 percent drop from the previous survey. "Based on these numbers, people aren't very good at finding out what their vulnerabilities are, but when they do find them, they're really good at patching them," Cris Thomas, a strategist at Tenable, told CSO. The health care and education industries displayed the lowest confidence in their ability to combat cyberattacks, in addition to the government. Each of these sectors received a D on the cybersecurity report card. Coming in with the highest score was the retail industry, which received a C. As EMV helps beef up security for card-present transactions, business owners also need to be thinking about this online threat in 2017. Although it seems like EMV cards are all over the place, there is still a long way to go. That's according to new data from EMVCo., which shows that the U.S. significantly lags behind other regions in the world when it comes to EMV card adoption. Overall, card-present EMV transactions accounted for 7 percent of purchases in the U.S. in 2016, according to Business Insider. In other areas of the world, EMV card usage is much more widespread. EMV purchases account for at least 75 percent of transactions in Europe, 88 percent in Canada, Latin America and the Caribbean and 89 percent in Africa and the Middle East. Despite the slow adoption of EMV in the U.S., the 7 percent rate is a vast improvement from the 0.26 percent usage rate in 2015. And experts are confident that EMV will grow exponentially in the States this year for a variety of reasons. The main one is that the deadline for fraud liability to shift from banks to retailers if they don't use EMV chip card readers has passed in most industries. This means that many retailers will be on the hook for potentially huge amounts of money if they don't make the transition to EMV technology and credit card fraud occurs at their store. Experts note that it hasn't been too long since the October 2015 deadline, which means some retailers are still in the process of upgrading their machines and some banks are still distributing EMV-enabled cards to their consumers. As this process moves along, EMV usage in the U.S. should rise, according to Business Insider. As of the third quarter of 2016, only 49 percent of small businesses had upgraded their card processors to accept EMV cards, according to a Wells Fargo survey. As retailers become more savvy at catching point-of-sale credit card fraud, identity thieves are flocking to the internet to commit their crimes. Between the Black Friday holiday shopping weekend in 2015 and 2016, experts have seen a 20 percent increase in online retail credit fraud, according to research firm iovation. Many pundits see this as a natural reaction to the adoption of EMV card readers by many retailers, which makes it much harder for thieves to conduct fraud in stores, according to Claims Journal. But approximately one year after many retailers began implementing EMV chip card readers, it's clear hackers have found a new way to steal personal information. "The shift from in-person card fraud to card-not-present fraud shows that cybercriminals are quick to shift the focus of their scams," Scott Waddell, iovation's chief technology officer, said in a statement. "Much like EMV became a major weapon for in-person merchants, new authentication approaches will be the antidote to curb this new trend." It is estimated that online fraud will cost retailers $7.2 billion by the end of 2020, according to Aite Group, which conducted research with iovation. In the meantime, retailers should still take steps to beef up their online security to help reduce the instances of fraud on their site as much as possible. Some easy changes retailers can make to how they process online transactions include limiting the number of attempts individuals have to input sensitive information or integrating 3-D secure technologies to help monitor suspicious online activity, according to Inc. Looking to the future, retailers should also be thinking about how to protect against fraud from mobile transactions because shopping from a smartphone is becoming increasingly popular among consumers. According to iovation's analysis, 55 percent of sales from Black Friday to Cyber Monday in 2016 were made from a mobile phone or tablet. Credit card fraud is becoming more popular with gang members. Twelve members of the Hoodstarz gang from Brooklyn, New York were charged with running a credit card fraud scheme, according to The Wall Street Journal. The members manufactured more than 700 fake credit cards, using stolen personal information they hacked from the internet, the source reported. Using the fake cards the gang members spent nearly $2,000 on concert tickets, paid cab drivers, bought food and spent $700 at the American Girl doll store, The Wall Street Journal reported. Brooklyn authorities told the paper that the gang members were testing the boundaries of the stolen cards before moving on to buy other items such as guns to facilitate gang-related activity. "We're all too familiar with the cost of violent crime in our community," Brooklyn District Attorney Eric Gonzalez told The Wall Street Journal. "I think we might be less familiar with the cost of these financial crimes. We now understand that our fight against violent crime requires us to tackle financial fraud as well." There are several things retailers can do to help prevent fraud before it gets out of hand. Here is a list of suspicious activity retailers should keep an eye out for when making credit card transactions. A customer is making seemingly random purchases without considering the price of the items. If a customer makes a purchase and the name on the receipt doesn't match the name on the credit card they swiped. One of the biggest warning signs of fraud is if a person cannot provide matching identification to the card they are using to pay for their items. It is important for retailers to invest in a high-quality card payment processor because a store's liability increases if credit card information is entered manually rather than through a point-of-sale machine, according to Loss Prevention Media. Business owners and hotel managers may have unrealistic ideas of POS security threats. Though it can sometimes seem like the danger arises all at once, in reality, hackers can inject malware into a system and cause lasting damage for long periods of time. Hutton Hotel recently announced a possible breach in a special notice to its customers. According to this statement, the Nashville, Tennesee-based business is now taking greater steps to safeguard data, including working with multiple payment processing devices. The source grouped possible victims into two categories. Customers who used payment cards at the hotel's food and beverage outlets may be at risk if they made purchases between either September 19, 2012 and January 15 , 2016, or from August 12, 2015 to June 10, 2016. By comparison, hotel users were only included in one range, between September 19, 2012 and April 16, 2015. The criminals in this case used software to possibly compromise the hotel's payments processor and obtain user data, including account numbers, card expiration dates and verification codes. Hutton assured customers that it would monitor possibly affected cards closely. This is only one of multiple recent instances of hotels targeted by criminals. At the end of August, the Credit Union Times reported a breach for Millennium Hotels & Resorts North America that included 5,000 cards maximum across the United States. The same article also mentioned Noble House Hotels and Resorts, another chain reacting to card-related problems. Using verified card processing software can make hospitality businesses feel better about their own security status, and also please an increasingly wary customer base. Contact us to learn more. Keeping your restaurant up to date with the latest technologies can be an important step in staying viable. Among many different trends, there's a notable thread of smart tablets and touchscreens making interactions simple. We can see this both in front-of-house payments and other POS functions, like the important work needed to manage the kitchen. A POS combines all of these things in one for a more central approach to harnessing consumer data. In some cases, the POS can influence developments beyond a single store, as franchises benefit from the same web tools. With so many possible innovations coming to the restaurant sector, keeping developments organized may be the start of necessary change at a location. Much discussion around the future of technology involves automation. While we very well may be moving toward a world where common appliances "think" on their own, managers need to meet their needs now. To do this, the proper solution can be both fast enough and all-encompassing to be efficient, yet still familiar and easy to use. Eventually, the Internet of Things and other advances may reduce the time it takes to get particular tasks going. When all that's needed is a certain action performed at a specific time, programmable devices may get the job done. What this focus should show restaurants, though, is the influence that data and smart systems have on different processes. At the heart of it all is the POS, which is why this system's essential functions need to be secure, effective and up to date. Merchants can use 911 Software's CreditLine program for a simplified approach to POS terminals. With merchant-friendly rates, customization and security, this can be a major answer to current issues with credit card processing software. While they promote easy payment, gas station pumps can still pose danger to payment card users. Likewise, business owners have to feel secure about the payment system at their location. True protection comes from up-to-date credit card POS software as well as best practices during operation. ABC affiliate WFAA recently reported on some newly-discovered skimmers in Dallas, Texas. The story pointed to some disturbing truths about the nature of skimming technology. In the past, one of the ways to test for tampering with terminals has been to physically investigate the unit itself. The source said that skimmers found in local pumps this summer were installed inside. This is partly possible because a single key can grant access to multiple gas pumps, leaving several locations open to suspicious activity. The police reportedly have not determined how long the skimming devices were in place, and Financial Crimes Unit Lieutenant Tony Crawford described the amount of effort that's gone into this latest type of crime. "They're taking steps to make sure there's no fingerprints on the deal by shrink wrapping," Crawford said. "They're sophisticated. They know what they're doing." Krebs on Security took a close look at skimming devices last November. It said that Bluetooth technology allows criminals to obtain card data remotely after the device has gathered it. In some cases, the devices can use text messages to transmit card numbers. Either way, the trend shows thieves being increasingly hands-off when it comes to targeting card information. Contacting 911 Software allows companies access to CreditLine, a PCI-friendly data processing solution that will help you satisfy operational needs. Follow industry standards and remain compatible by using our service. If you have questions about using it after installation, you can count on our responsive customer service as well. Overhauling the POS in use can change the customer experience at a merchant's store. As the potential center of so many operations, it can be the beginning of multiple different programs and necessary tasks. In some cases, a new approach to credit card payment software can be faster, leaner and less distracting than the previous one. According to Dallas Business Journal, J.C. Penney is taking on something called "Project Simple," which will try to refocus the store's efforts more directly on the customer experience. The effort also eliminates extraneous elements affecting the business side, such as redundant emails or unnecessary customer visits. Executive Vice President of Stores Joe McFarland told the source that the new plan is to spend more time on shoppers and less on the operational tasks that take up time and resources. "Going forward, we'll have a very simple vision around what we do," he said. "We'll remove complexity from the stores and we'll simply push that to our home office," McFarland said. "You have my commitment: we are going to stop doing things that don't focus on the customer." Retailers can use this sort of improvement to give their customer base a reason to choose in-store interactions. Instead of seeming less convenient than shopping online, smart stores can bring all of the benefits of digital ordering to their locations with an updated POS. A NerdWallet article gave examples of some of the innovations coming to the brick-and-mortar retail shop, including kiosks and mobile-friendly locations. Shoppers may be ready for these enhancements because they are increasingly familiar with mobile technology in their own lives. Find payment processor software that will be flexible and effective for easy updates with 911 Software's CreditLine.